Planning a trip to Paris can be stressful, but not for lack of options. Paris is the world's top tourist destination and a major European air and rail hub, so travelers are virtually flooded with offers for flights, travel packages, and rail options to pick through. Click through for our advice, which should help you to make a well-informed and budget-compatible decision on getting to Paris and back. Paris has two major international airports: Roissy-Charles de Gaulle and Orly. Roissy-Charles de Gaulle Airport is the second busiest airport in Europe after London Heathrow, with some 200,000 passengers moving through daily. Located about 15 miles northeast of central Paris, Charles de Gaulle airport offers quick and reliable ground transportation into Paris. Terminal 1: most non-Air France international flights, including United Airlines, Us Airways, Lufthansa, and Virgin Atlantic. Terminal 2 is the largest and is broken into 6 smaller terminals (A-F). Most Air France flights, as well as American Airlines, British Airways, Delta Air, and Northwest Airlines, fly into Terminal 2. Terminal T-3 is reserved for budget and charter flights, including Ryanair and Easyjet. Both Paris airports offer above-average services and amenities, including world-class duty-free and luxury shopping, free shuttle services between terminals, a large selection of restaurants, lounges, and play areas for children. In addition, some terminals, including Terminal 2 at Charles de Gaulle, are free wireless internet hotspots. Orly Ouest handles mostly domestic flights, including Air France. 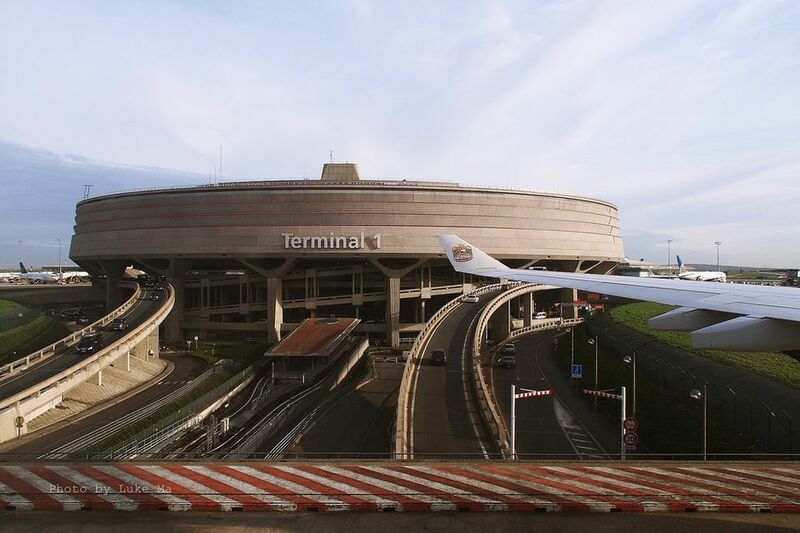 Orly Sud handles international and charter flights. Flying to Paris can prove expensive, but if you plan well ahead you can snag a good deal. As a general rule, reserve your tickets at least 3 months ahead of your travel date, and consider flying to Paris outside of the peak period (mid-May to September). In addition, connecting to Paris from London is often a cheaper way to get to the city of light. When flying from within Europe, choosing a low-cost carrier is smart as long as you're willing to forgo frills. Carriers: What Company to Fly? When planning your Parisian sojourn, booking a travel package that includes round-trip air fare, hotel stay, and perhaps other features like guided tours or restaurant vouchers can be a great money-saver. But before you get out your credit card, make sure to read the fine print and scour consumer reviews of the package you're considering buying-- this will limit the risk of getting scammed, or just disappointed. Trip Advisor is a very useful site offering consumer reviews of Paris vacation packages. You can also book direct at the site for many properties. Epinions is also a great resource for making a decision on a travel package to Paris. Air France regularly offers special offers on flights and travel packages to Paris, particularly during holidays. If you're traveling to Paris from within continental Europe or from the U.K., getting there by train can be a great alternative to flying. For one thing, Europe counts more and more bullet trains (called TGV for 'high-speed train' in France) that can cut rail travel time down by half. The Eurostar train connects London to Paris via the channel tunnel, or "chunnel", making for a truly unforgettable experience. There's also the advantage of foregoing endless airport lines-- not to mention getting a closer glimpse of the French or European countryside. Last, but not least, you'll be choosing a much more environmentally friendly mode of travel, and reducing your carbon footprint-- something you can definitely feel good about even if you do end up spending a bit more money. If you have extra time and you're traveling to Paris from elsewhere in Europe, rail travel may be the right option for you. Paris has six major train stations serving both domestic and international destinations. Gare du Nord is the hub for trains traveling from the U.K., Northern France and Northern Europe. The Eurostar train arrives at Gare du Nord from London. Gare de Lyon is a destination for trains from Lyon, Aix en Provence, Marseille, the French Riviera, Geneva, and Italy. Many of the trains arriving at Gare de Lyon are bullet trains. For example, you can get from Lyon to Paris in 2 hours and from Marseille to Paris in 3 hours. Gare d'Austerlitz serves destinations in southwestern France (namely Toulouse and Bordeaux), the Loire Valley, and Spain. Gare Saint-Lazare serves the Normandy region (central Northern France) and England (non-Eurostar). Gare de l'Est is the hub for trains coming from Eastern France (Strasbourg, Alsace), parts of Germany, Luxembourg, and central Eastern Europe. Gare Montparnasse is mostly reserved for bullet trains serving Nantes and Bordeaux. For rail fares, schedules, ticketing and reservations, visit the SNCF national rail company website. Hugh Llewelyn/Some rights reserved under the Creative Commons license. Getting to Paris by the Eurostar can be a good idea for many reasons, especially if you're departing from London. International flights to London can be cheaper than flights to Paris. In some cases, you can cut costs on travel by flying into London and then heading on to Paris by Eurostar. This also gives you the option of spending a day or two in London as a prelude to your Paris vacation. The Eurostar bullet train connects London St. Pancras station to Paris Gare du Nord in only 2 hours and 15 minutes. The channel tunnel is a feat of engineering and a thrill to experience. Unless you're claustrophobic, traveling through a tunnel that was painstakingly dug under the channel waters should be experienced by everyone at least once. If you're traveling to Paris from elsewhere in Europe or France, including Brussels, Lille, Avignon, or French Alps ski resorts like Aime la Plagne or Bourg St. Maurice, taking the Eurostar will speed you to Paris in no time. Eurostar also offers connections to over 100 other destinations across Europe. Students and seniors traveling to Paris can benefit greatly from purchasing a discount card. Even if you don't fall into the "right" age bracket, travel companies regularly advertise special offers for discount travel to Paris. France's rail company SNCF offers a variety of discount cards for students, seniors, and frequent travelers. These cards, which allow for discounts of up to 50% off on train fare, are a good option if you plan to travel to several destinations within France, or if you travel to France more than once a year. In addition, SNCF discount cards can be used for reductions on Eurostar train tickets and even on airfare. The SNCF reservation page allows you to perform a custom search for last-minute deals. You can save up to 50% by purchasing last-minute tickets, or "PREMS". Keep in mind that these tickets are nonrefundable and non-exchangeable, though. Choosing the Right Rail Pass: About France for Visitors gives an excellent overview here on how to choose the right French rail pass. Are you planning a European vacation with stays in several cities or countries and want to figure out how to get to Paris from other hubs around Europe? Click on the guides below to find complete information on flights, trains and rental cars to Paris from other major European cities. Each guide provides pros and cons on various forms of transport to help you make the right decision. Traveling From London to Paris: What's the Best Way to Go?